I was giddy when I received a package yesterday from Flat Iron Experts!! 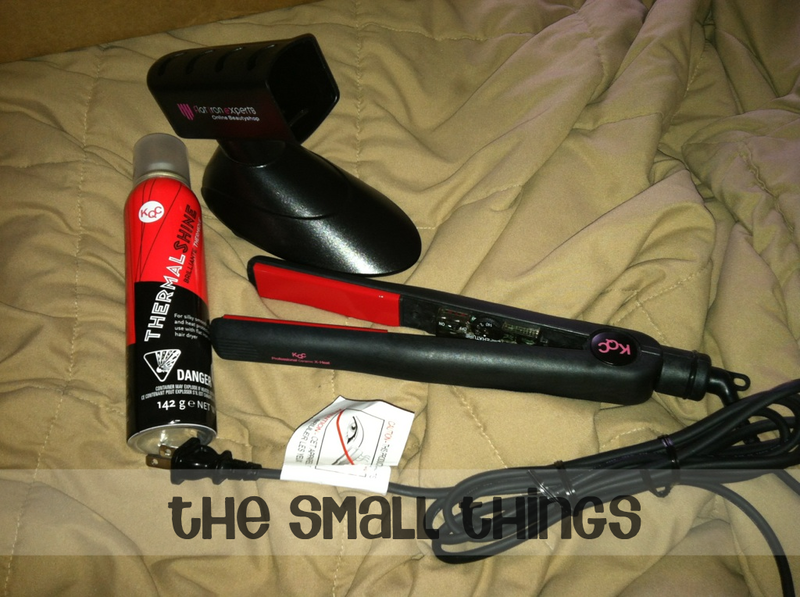 I opened it up to see that it was the KQC X-HEAT flat iron, Flat Iron Experts Iron Holder and KQC Thermal Shine Spray! Now usually when I wash my hair and dry it, it will turn out to be a FRIZZY mess! The KQC X HEAT flat iron helped the frizz!!! 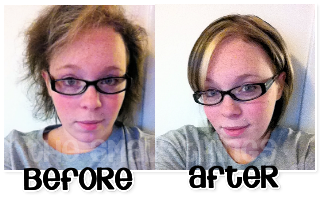 I applied the KQC Thermal Shine Spray onto my hair after showering and blow drying and then used the flat iron. This product is awesome! WHY? Because its easy to use, and it took away my frizzy mess!!! 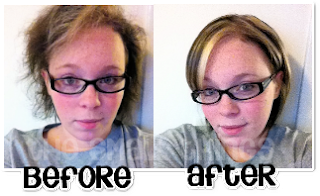 The Thermal Shine Spray made my hair feel silky and look shiny, Here is a before and after picture to compare. Please don't laugh. Far Infrared (FIR) rays are electro-magnetic waves of energy, it dries hair from the inside out! The KQC Thermal Shine Spray is great for all hair types! It is formulated for superior heat protection and ultra gloss hair shine. This product made my hair super shiny and it looks great!! I loved the Iron Holder as well! It really felt great to sit the flat iron inside it, rather than letting it sit on the counter, while risking letting it fall and break, or burn the dresser! I highly recommend all the above products to anyone and everyone! Getting one of these has got to be a woman's flat iron dream! You can buy the KQC X- Heat Flat iron for $159.95, the KQC Thermal Shine Spray for $13.99 and the Flat Iron Experts Iron Holder for $14.99. Head on over to http://www.flatironexperts.com/ to view more products as well. wow it did a great job! Your after picture with using this ceramic flat iron looked so nice! This flat iron really did a great job of smoothing out your hair and it looks like this flat iron smoothed out your hair! This is a great product. I would love to have a flat iron like this one. I can see that it works good! I need a new flat iron. Thank you for the review! Wow, your hair is completely straight after using the flat iron! I've been needing a flat iron replacement, I've never heard of KQC but I have to try it now. Your hair looks great. I like that it preserves more moisture. Nice. Wow, what a difference! Great flat iron. It's you are using something to protect your hair. Those units can really dry out the hair. Looks like it did the job. You did a good job, I really like it and wonder if this thing would help me to do that with my hair. I love your hair and highlights! This flat iron looks super cool and easy to use. I've thought about getting one but worried about how hard it would be to use on thick hair. Thanks for a great review! Man, that did a great job! I think I am going to have to go out and buy myself one of these! I used to have a GHD and can't afford another one. I am using a really cheap one at the moment that burns the crap out of my hair. This looks amazing! This did a awesome job and I would love to have it.